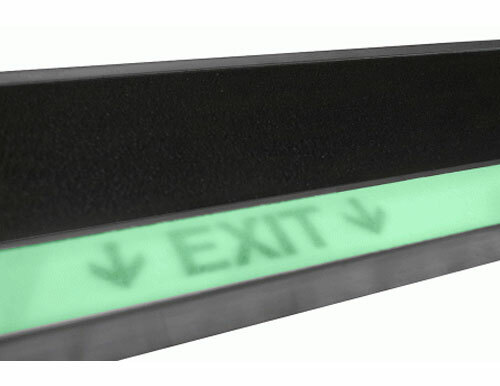 BOLD STEP® glow-in-the-dark message treads identify your location when you need it most. Your message is encapsulated within our coating system to insure it remains visible for the life of the product. Message treads can contain company logos, safety slogans or location. In times when the power goes out, people need to get to safety as soon as possible without chaos. Sure-Foot has a reliable and safe solution for this. BOLD STEP® Glow-in-Dark Message Treads identify your location when you need it most. Your message is encapsulated within our coating system to ensure it remains visible for the life of the product. Message Treads can contain company logos, safety slogans or location. The glow products are easy to recharge with either natural light or an interior light source. 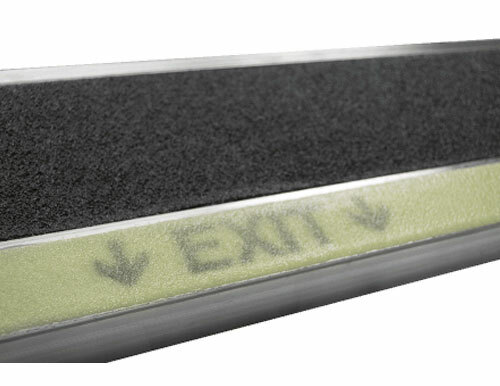 To learn more about our Message Treads, contact us or request a product sample today.